Olivia started her career as a marketing staff at PT Equity World Futures in 2009. She thereafter joined Telkom Vision as its Public Relations Assistant in 2010. In 2011, she obtained a Bachelor’s Degree in Communications from the London School of Public Relations – Jakarta, with a major in Public Relations. While studying at the London School of Public Relations, Olivia worked for Mercy Corps Indonesia as a receptionist, thus beginning her working relationship with international NGOs. Prior to working for HRRC, Olivia worked at the ASEAN Coordinating Centre for Humanitarian Assistance on disaster management (AHA Centre), an inter-governmental organisation responsible for facilitating cooperation of disaster management and emergency response in the region. Olivia has a passion for travelling and her communication fluency is reflected in her active participation in several social and art activities. 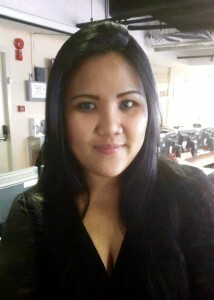 She is skilled at organizing events and performing secretarial and administrative duties.